The ceremony was classically Western, though more lavish than any wedding I had ever seen before. 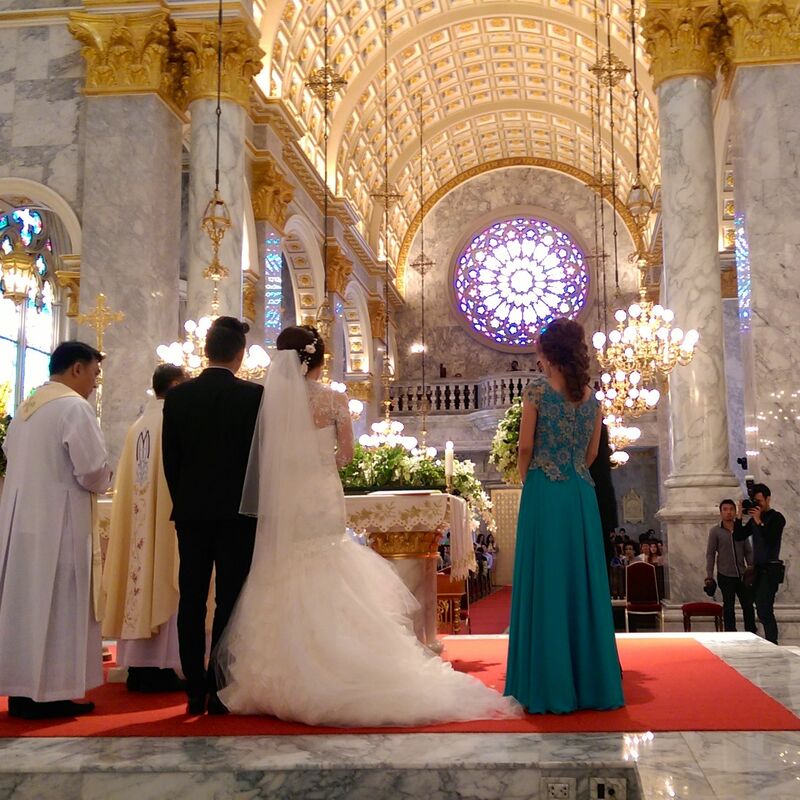 The photo is of the bride and groom signing the registry on the altar at the end of mass. At the reception, we watched a video of the tradition Thai wedding ceremony that happened the previous week, with simple clothing, flowers given in blessing, and families parading through the streets. It was really lovely. Then came time to cut the cake. A very “traditional western” four-tier cake cut by the bride and groom, but instead of giving each other the first slice, they were put on gold plates and presented to their parents and elders. 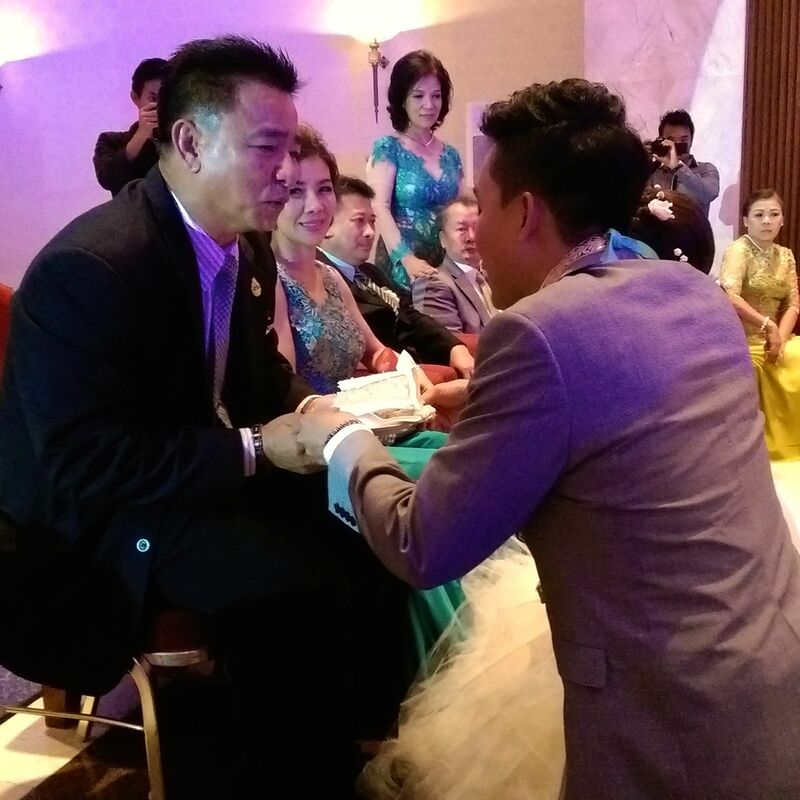 Here, the groom kneels to present a piece of cake to the bride’s father as a sign of respect. I happened to be sitting three feet away, because I was at the priests’ table, and yes, we got a piece as part of the elders. What a lovely way to take something so Western and make it Thai, a culture in which parents are always reverenced and respected above all other people.